Students at Van Buren Elementary School earn “STARS Bucks” throughout the day for exhibiting behavior consistent with our school-wide STARS behavior system: Safe, There and Ready, Act Responsibly, Respect, and Show Compassion. Students save up their STARS Bucks to make purchases from the STARS Bucks Cafe Menu. For 100 STARS Bucks, students in grades 4-6 can purchase “Walk to Yogurtland” with Principal Connie Roe. 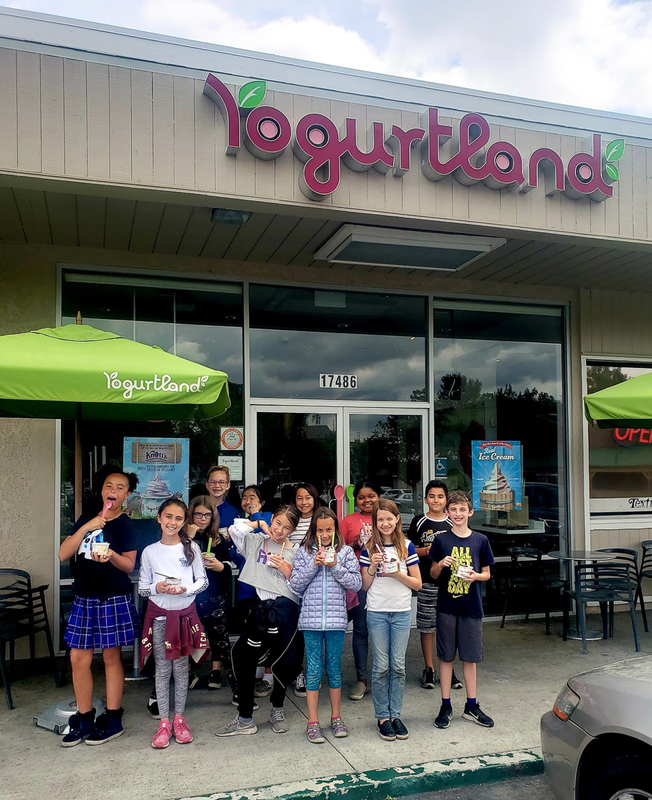 Last week, 12 students walked down the street to Yogurtland with Mrs. Roe and enjoyed a tasty and refreshing treat courtesy of Van Buren PTA! Way to go, Roadrunners! Be the first to comment on "Van Buren Elementary School encourages positive behavior with STARS Bucks"